Built from durable titanium, the Bentley’s™ lightweight and ergonomicdesign reduces operator strain and fatigue caused by standard cleaning wands. 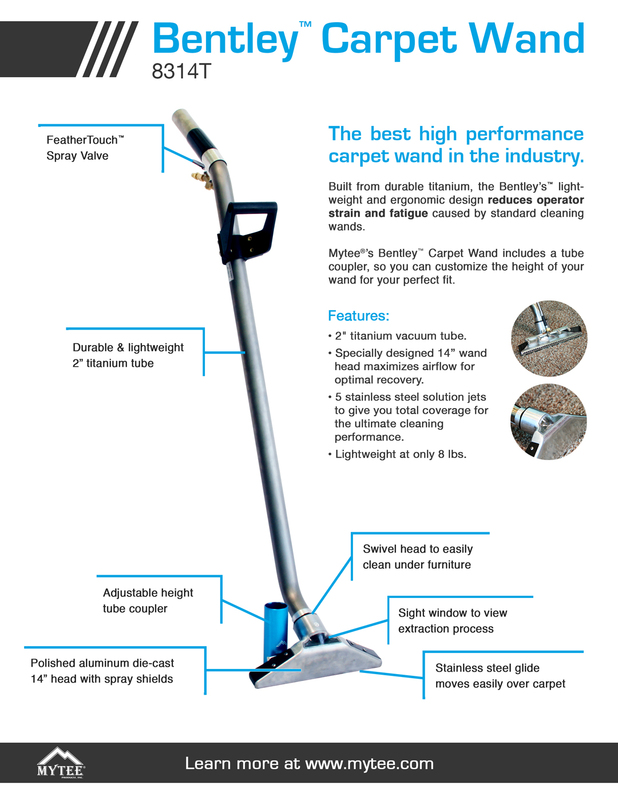 Its 2″ vacuum tube and specially designed wand head maximizes airflow for optimal recovery, while its five solution jets give you total coverage for the ultimate cleaning performance. Shipping Weight Dimensional 52 lbs.